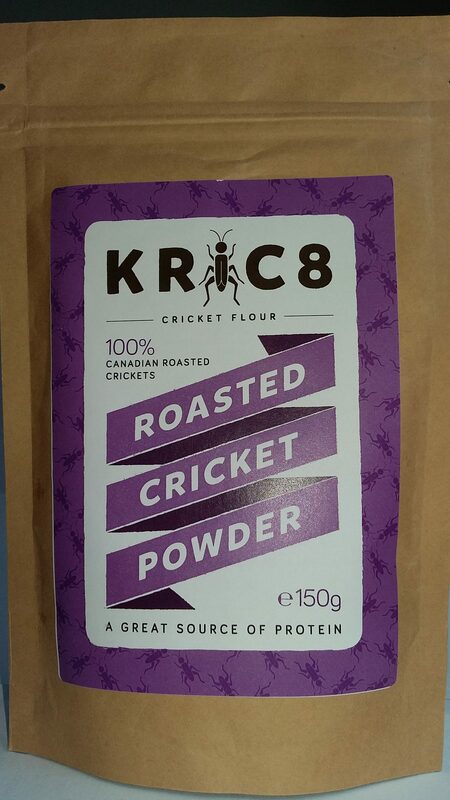 Kric8’s Cricket powder (cricket flour) is made from 100% Canadian raised crickets. The adult crickets are between 6 and 8 weeks old before they are harvested, cleaned and processed into a fine powder. Every 100g of cricket powder contains around 59 grams of protein making it a great way to boost your morning protein intake by adding it your smoothies or try swapping up to 10% of your usual flour when making cakes and biscuits.